These posts were answered from Quora. You can create paid subscription Facebook Groups! You can create paid subscription Facebook Digital Courses! The first growth hack is to understand that Facebook is a Social Media platform where people hang out to relieve stress and boredom. Aggressive marketing tactics don’t work on Facebook, instead focus on posting valuable, shareable content to build a loyal following and the sales will follow. To build long lasting relationships with your consumer base, you need to post quality content, run contests, canvass for opinions, provide excellent customer service and lots more besides. Facebook is increasingly becoming a “pay to play” platform, organic reach is severely limited. Only 5–10% of your followers see your posts. Building an organic following is a slow process, post lots of valuable, shareable content and hope one of your posts goes viral. Facebook ads can be very cost effective and yield excellent results if properly implemented. Optimizing Facebook ads is a skill set that one learns and hones through regular experimentation. Rotating multiple ads and making subtle changes to the text and body is necessary to avoid ad fatigue. Ad fatigue occurs when your target audience keep seeing the same ads and becomes “immune” to them. Facebook ads are based on targeting parameters, the better you know your audience, the cheaper the cost of advertising. To get the best out of Facebook ads, you need data. This data is then used to narrow down the targeted audience. Once enough data has been gathered, regular A/B testing will help to refine the targeting parameters, so you end up with a super targeted consumer base. Instant or near instant results can only be obtained via paid advertising. Organic growth is a long term strategy with the focus on building and nurturing a loyal following. 1) Facebook Lead Generation Ads for mobile a.k.a. one-click email opt-in! So basically you can offer an ebook/e-mail course/updates on your exclusive offers if the person opts-in. It used to be really ineffective on mobile (because user had to type in his email manually) but right now it’s super easy. Facebook organic reach is getting smaller and smaller again (in 2015 according to Locowise it was just 2.27% (with 1M likes) – 22.8% (with 1K likes) so very few followers will see your post if you only publish it once. This is especially true if you have fans all around the globe in different timezones. When we tried this tactic, we had objections that people would be upset that we’re serving them “recooked meals” but you can just add a new insight, something that you’ve learned since the last release of this post and it’ll be totally fine. This tactic is especially good if you’re using too much of your resources on content creation – you can save time and money and use the same piece of content a few times. First of all, content curation (sharing content from industry leaders, top influencers etc) makes you look more serious and respectable. Secondly, it also saves money and time cause it’s so much easier than creating your own content all the time. How can you maximise the results of this strategy? The blue button will take a user to your own website. 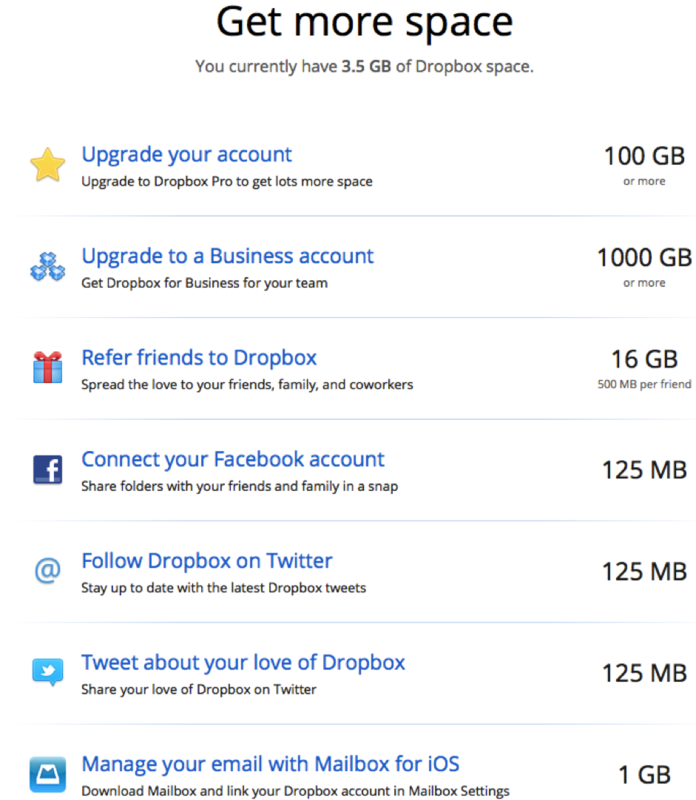 You can also attach the same box but with a link, opt-in form, share function, social like, etc. So it’s a perfect way to use 3. party valuable content and still drive traffic to your website or build your e-mail list. We use it to promote webinars for example and we get fantastic results. Some of the best specific hacks are unique per industry. But in broad strokes I think the most important aspect of Facebook growth is leveraging all the of available tools FB offers its users for free. One article that I think is really interesting in terms of hacking facebook growth is this piece by Dennis Yu on “becoming Facebook famous” it talks about how for just $1 a day you can really leverage Facebook to get eyes on your video content. Check it out, and then dig into more of the content on this blog, its loaded with Facebook specific knowledge from industry experts. Facebook Growth Hacks when done right may drive massive traffic to your online properties. I generally focus on organic traffic first, because, of course, it’s free and driving organic growth is more challenging. So I’ve experimented a lot on Facebook Page, Groups, Profiles and Events and I believe Facebook Page is one of the best avenues to drive growth, whether your goal is to drive traffic or engage with your target audience. From my learning, one of the key factors in driving growth is getting your user persona right. This is critical, because even a little variation can throw your campaign out of balance costing you money and more importantly bringing likes and engagement from wrong set of audience. Recently, we were able to scale Facebook Post Engagements by 157% in less than a week for one of our clients. You can follow these steps to drive organic growth for your Facebook Page. What’s interesting is that even with smaller budgets, say a few dollars, Facebook can deliver thousands of user engagements or page likes. Again, you don’t need to have large budgets, we experimented with just $10 before scaling the campaign to drive 10k likes in 5 days. #Growth Hacks… Facebook is constantly evolving but one truth remains constant, it’s all about having good content. If your content is cheaply conceived, and appears like nothing more than a keyword-stuffed attempt at picking up ‘likes’, then Facebook will be able to identify that tactic and kick your post further and further down the news feed. Good content, however, is receiving far more attention these days, whereas advertisement-looking posts will not be noticed. For instance, around the end of 2013, Facebook changed their news feed algorithm to not only bump ‘low-quality content’ down on their list of priorities, but now older ‘related’ articles can be seen under the newer ones for a blog or news site. (1) Algeria with the population of about 40 million people have about 11 million Facebook subscribers while their internet penetration rate is about 27.3%. (2) Egypt with the population of about 90 million people have about 27 million Facebook subscribers while their internet penetration rate is about 37%. (3) Morocco with the population of about 33 million people have about 10 million Facebook subscribers while their internet penetration rate is about 60.6%. (4) Nigeria with the population of about 181 million people have about 15 million Facebook subscribers while our internet penetration rate is about 51.1%. (5) South Africa with the population of about 54 million people have about 13 million Facebook subscribers while their internet penetration rate is about 49%. I guess its clearer now, the data are speaking. Nigeria has the highest number of users online in Africa (about 92.5 million), and also the highest number potential Facebook subscribers in Africa (about 77.5 million) as at today 30th August, 2016. If the game is Growth Hacking and you’re called Mark, where will you HACK – NIGERIA. I used to run a growth hack for clients back in 2013 where I’d develop a personal profile under their company name, only adding people in their target demographic. Once I hit a certain number of friends 500+, I’d convert that profile to a page – turning all friends into page likes. After this, I’d merge the newly converted page with the company’s page and all the likes would combine. Facebook eventually added in various security measures to make this much less viable on a large scale, but you the features to do this still exist. You could probably get away with doing it once or twice per company. So how do you beat the odds? In my article today, I’ll cover 12 tactics to beat the Facebook algorithm and help you get your fan engagement back! With Facebook’s buyout of Instagram, it wouldn’t be ridiculous to think that maybe Facebook is giving preference to Instagram pics over other pieces of content. Nothing official on this of course, but it doesn’t hurt to amp up the Insta-posts just in case. You probably know that Facebook is the number one social media platform, which most people use. If you are looking for the most effective Facebook Marketing Strategies you can do, you’re in the right place. Apart from the fact that we are using it for chatting with our friends or sharing the things we love such as photos, videos, or even document files, some people especially business owners use it as their number one source of traffic and sales and a spot for branding. You can easily leverage the existing traffic on your site by putting social media icons that can be seen and clicked, which are direct links to your Facebook page and any other social media account pages you have. Refer to the picture below as an example. Most websites put their social media icons on their homepage or header since it is the area where these icons could be easily seen; thus, this move provides better click-through rate (CTR) placements. If you’re using e-mail as one of the ways to contact or reach your customers, using your e-mail signature to display your fan page URL will be effective. Having your social media pages URL beneath your e-mail messages or at your signature will make your recipient see it easily and probably click it, which can convert into traffic or a following. If you have current events on your social media pages, you might want to include them in your e-mail signature with a call-to-action format. Example: Want to receive a gift from us? Like us on Facebook! Few of the great e-mail marketing tools are MailChimp and AWeber. You might want to consider sending an e-mail blast between Monday and Wednesday mornings for most conversions. A study from HubSpot, The Science of Email Marketing 2012, stated that morning e-mails get high CTR. Perhaps my favorite feature that Facebook Pages have is the Insights. By going to your Posts Insights, you will be able to see the average time when your fans are online. In case you’re planning to schedule three posts, you might want to check the best hours that your fans are online and select those hours on scheduling your post. 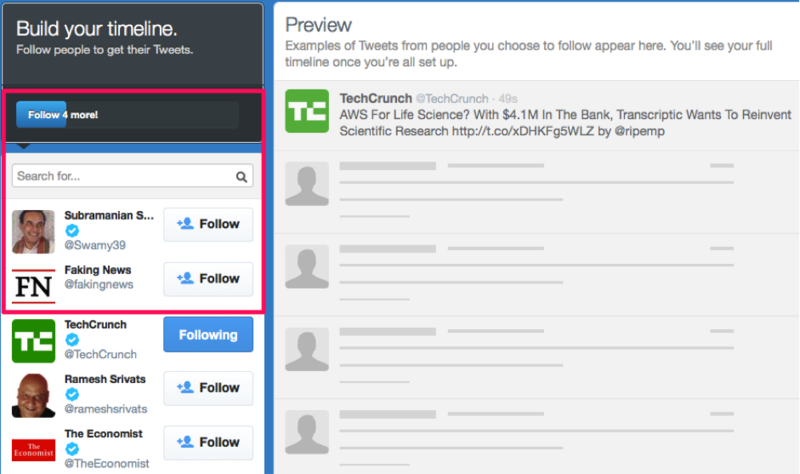 You will see “See Insights” above your Page, click it. Alternatively, tools like HootSuite and Sprout Social will help you find the data and metrics you need including what type of post you should be using for your social media copies. The average daily active user on Facebook is 757 million, according to a January 2014 report. And a certain percentage of those millions of people could be your next potential customers. If you want to use Facebook to maximum advantage, you need to post contents for your target audience with consistency. Your goals should be either to educate, to entertain, or to empower them. Facebook has a built-in feature that allows you to schedule a post to appear on your page later. If you want to know more about it and the detailed steps on how to use it, refer to this link and continue reading below. You may hate it, but investing on Facebook ads will give your business a lift especially if you’re a start-up or a small business. Facebook ads aren’t expensive as you might think; you will love them once you tried to test them to get the best conversion that can impact your followers and your business growth. Consistent testing and experiments are necessary once you use them. Target your desired audience (gender, age, locations). If you use Google Analyticsdisplay tracking, you can use the data from there and use it for retargeting. Since the text is easily answerable by Yes or No, those people who most likely say “yes” will be converted into your fans. Trust me, this is so effective. Note: You can only use 90 characters for your Facebook ads text/description. A 2013 report stated that 35% of Facebook fans like a page so they can participate in contests. If you sell products, you might want to give one of your products as a prize; whereas if you provide services, perhaps a free 1-hour consultation, designs, or any of your service can be used as the prize. Make sure that everybody can join and don’t forget to promote it! A custom page tab/app is a great option if you want to offer an exclusive advantage for your fans. It allows new visitors to see details of your events, contest, opt-in forms, or deals, which can help you gain more fans and likes. According to Socially Stacked, 42% of fans like a page to get a coupon or discount. Another study by Wildfire Interactive showed that coupon-based campaigns received the highest engagement rates. An example of customized tab/app for your Facebook page is what I currently use to gain subscribers as well as likes in exchange for exclusive business and marketing tips. Most businesses that used customized tab for their Facebook pages put exclusive discount coupons or free download such as e-books. My favorite tool for creating a Facebook custom tab is Woobox, which is free. Using social media plug-ins or integrating social media sharing buttons on your website makes it easy for your visitors and customers to share your website pages. Once a person shared your content through Facebook and other social media sites, their friends can easily see those links on their Facebook profile and news feed. You could also gain a share from them, which will make the process repeatable in a sense that it can also be shared by their friends of friends—possibly making it viral. This will also help increase your website traffic. Digg Digg by Buffer displays all popular social sharing buttons with count. Although the plug-in isn’t in active development anymore, it features eye-catching and simple social sharing bar that lets your content gets shared. 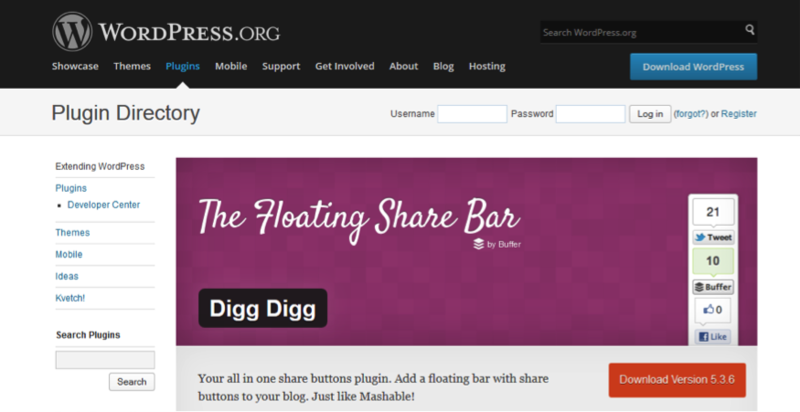 Mashshare sharing plug-in is a high-performance share functionality inspired by Mashable. The beautifully designed big buttons of “Share on Facebook” and “Tweet on Twitter” are my favorite. Engaging and talking with your community on Facebook could build a strong relationship, trust, and loyalty. The most exciting result about this is that they can also turn into your repeat customers or potential leads. Facebook can also be used as one of your customer support hubs. Wishpond’s data says that posts that include photos receive 120% more engagement than the average post, while posts that include photo albums received 180% more engagement. You might want to put a call-to-action text with shortened links on each of your photo descriptions toward your website to gain traffic. My favorite resource for this is Bitly. 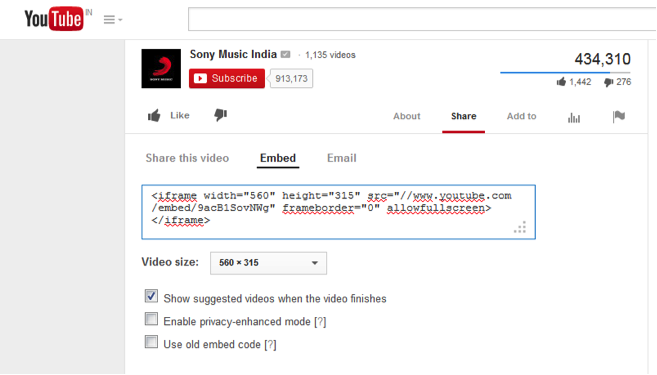 Why shortened links? Shorter posts get 23% more interaction. Posts with 250 characters can get you 60% more engagement while posts with less than 80 characters can help you gain 66 % more engagement. Facebook groups have three types of privacy: open, closed, and secret. These different types also serve different functions and ways to use. Open Group. Anyone can see the group, who’s in it, and what members post.Open groups are mainly used to build awareness, authority, and interest in your brand. This is the best group if you want to establish yourself as an expert and to network with others in your industry. The main focus that you should do on open groups is not selling but rather participation and interactions. Closed Group. Anyone can see the group and who’s in it. Only members see posts.Closed groups are best to use for customer support purposes. For example, we are using Closed Group for one of my clients’ current customers who want to share ideas with other users. We also use this for customer support and solve problems. Secret Group. Only members see the group, who’s in it, and what members post.Secret members-only groups are great for higher-level discussions that need confidentiality. For example, since I manage lots of teams, companies, and businesses, we use secret groups for collaboration and follow-ups.Other companies find the secret group useful as one way to network with their clients or customers especially for those on coaching, training, or consulting industry. To summarize, here are the most effective Facebook marketing strategies that you can use right now to jump-start your business success on Facebook. Leverage your existing website traffic by putting social media icon, which redirects to your social media pages. Use your e-mail signature to display your Facebook Fan Page URL. Promote your Facebook page in-store. Determine the best days to post. Create and schedule status updates. Use Facebook Plugins to grow your followers easily. 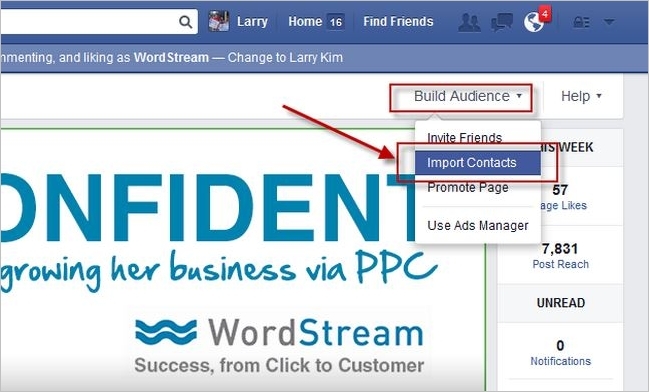 Use Facebook ads to help you achieve the results you want to have for your business. Think outside the box and create a Facebook contest. Develop a custom page tab or app for a coupon, discounts, and any other exclusive deals. You can also use it for newsletters and other campaign purposes. Integrate social media sharing buttons on your website pages. Engage with your fans and current community. Engage with other Facebook Pages. Use image and videos on your status updates. With regards to expanding the span of your Facebook page, there are two approaches to do it: paid techniques, which include paying Facebook to advance your page, or natural strategies, which depend on building informal exchange about your page without giving over any cash. Throughout the years, Facebook has been forcing associations with pages to move far from attempting to build their natural reach by making its paid techniques substantially more compelling. Nonetheless, on the off chance that you need to recover your association’s posts on the News Feeds of your Facebook fans there are still approaches to do this that don’t include forking over hard-earned money to Mark Zuckerberg’s domain. It adopts a devoted and submitted strategy, however it’s as yet conceivable – particularly in case you’re willing to appreciate these five critical strategies with regards to expanding your Facebook reach naturally. Facebook changes its News Feed algorithm constantly. What this means is that while one type of post might be more likely to show up in a user’s News Feed one month, the next month it could be completely different. Instead of text updates, it’s images. Then instead of images, it’s videos. Maybe next month it will be links to third-party websites. It just goes on and on as Facebook keeps adjusting things. Marketers who try to capitalize on organic reach by “gaming the system,” so to speak, by posting content that is showing up the most often due to Facebook’s News Feed algorithm. Instead of focusing on compelling content – the message itself – they focus on the delivery method. Facebook knows this, and it’s why the decision is made to constantly update that News Feed to disrupt these marketers from continuing to game the system – at least until the next trend registers and the cycle happens all over again. So what’s the best way to weather this storm? Stop trying to make the algorithm work for you. It never will – it’s designed to work for the regular Facebook user. Spending time, money and energy trying to unravel the secrets of every new algorithm update is simply a waste, especially when you can adopt a strategy that works with Facebook instead of trying to pull the wool over its eyes. Well, it’s as true then as it is now. Instead of trying all these strange techniques to build your organic reach on Facebook that involve targeted approaches to algorithm-busting content delivery, take a clue from the word “organic” itself. The best way to build a grass-roots movement on the social media platform is to plant a seed and let it grow without any funny business. You can’t force a Facebook following. Yes, there are some more technical strategies that will provide better results for you – like posting at non-peak times to make your own posts more likely to be included in the News Feeds of your Facebook fans – but the key is to drop the “SEO Ninja” act and act like a human being. Be yourself, focus on the message instead of the messenger, and you truly will be able to build that organic following that you want so badly. 3. Yes But How Do I Do That? You’re probably wondering what “be yourself” actually means. Well it’s relatively simple – you need to adopt tactics that demonstrate how your organization is being run by normal human beings, just like the people who read your posts. The time for faceless corporate monoliths is past – the Internet is an equalizing factor, and any entity on the Internet that tries to keep itself apart from everyone else is going to be seen as arrogant, old-fashioned, and hopelessly behind the times. You’ve got to show your Facebook fans that there are people behind the wheel of your organization, or at least behind your organization’s social media division. Transparency and openness are the watchwords of the modern Internet – perceived secrecy breeds mistrust, and that effectively puts an end to any marketing efforts you have in mind for your company. You need to at least provide glimpses to consumers as to what goes on inside the company on a basic level. We’re not talking the revelation of trade secrets here; it’s closer to taking a picture of a cake someone put in the break room for an employee’s birthday than it is revealing substantive information about your products or services. The next thing you’ll have to do as an organisation is to get up-close and personal to your Facebook fans if you want to truly grow your organic reach. The Internet is and always has been a two-way street, and that means that its main purpose has been communication, whether it’s the exchange of data, the exchange of ideas, or the exchange of images of Grumpy Cat with snarky captions on them. Simply posting content isn’t enough. You need to be posting the kind of content on your Facebook page that engages your audience and encourages them to respond in kind. A traditional marketing call to action simply doesn’t work anymore – instead you simply need to ask a direct question to elicit an opinion or a response in return. Additionally, if you do get a response you should be sure to respond to it directly within less than 12 hours or so. Make your responses professional but warm, even a little lighthearted and you’ll soon earn a positive reputation among your fans. Meanwhile, don’t make it look like you’re trying too hard to get attention from your audience. When it comes to things like including hashtags in your post, try to keep it down to one or two short phrases or words – less is more. There’s nothing that destroys credibility quicker than a long string of unprofessional-looking hashtags clogging up the bottom of your posts, as no one will take you seriously. Finally, there’s one thing that you need to understand: it turns out that laughter really is the best medicine. Everyone loves to laugh when it comes to the Internet, and content posted on Facebook is no exception. While there will always be people who enjoy seeing controversial or borderline offensive content for the opportunity it presents them to get into arguments online, humor is the key. If you can charm your Facebook fans and give them a good giggle in a lighthearted way, it’s likely to earn your page a lot of attention through likes, comments, and shares. The more you do this, the more often people will see your posts in their News Feed, as the Facebook algorithm has always run on positive reinforcement; the more likes, comments and shares your posts get, the more likely it is that your Facebook fans will see subsequent posts by you. That’s the true definition of organic growth. In the previous year, various huge stories included online networking: Facebook lured Snapchat users to Instagram, the leader of the United States conveyed official policy positions in 140 characters and Apple declared plans to adjust the way we communicate with our cell phones. One year from now, web-based social networking is ready to make significantly more interruption as various new mechanical progressions go standard, and as social standards identified with online networking change. Here are the main 10 online networking patterns to get ready for as 2018 moves close. At the first-historically speaking occasion facilitated in the Steve Jobs Theater, Apple announced the iPhone 8 and the iPhone X. The two gadgets fuse another chip that enables the telephones to give clients unprecedented increased reality encounters. While augmented reality will have its underlying effect on versatile gaming, it is likely that online networking stages will discover approaches to consolidate the innovation too. For instance, it’s possible that Snapchat or Instagram will soon bolster channels that enable clients to bring a selfie with a companion or big name anticipated employing increased reality. Also, brands could soon extend their items into the homes of online networking clients through unique channels. Over 200 million people use Instagram Stories every month, which is more than 50 million more than the individuals who utilize Snapchat – and Instagram Stories is only one year old! Along these same lines, almost 50% of all Instagram clients will utilize Stories before the finish of 2018. This implies brands intrigued by interfacing with Instagram clients must take the time to master Instagram Stories. Over 90 percent of marketers who utilize an influencer advertising methodology trust it is effective. Organizations like North Face, Hubspot and Rolex utilize social media– based influencer promoting methodologies to interface with new groups of onlookers and enhance engagement with existing gatherings of people. This year we saw that brands that selected conventional publicizing strategies struggled to interface with online networking clients. One year from now, it is likely that more brands will hold onto influencer advertising as an approach to interface with groups of onlookers who tend to overlook customary techniques. A recent study conducted by Goldman Sachs inferred that Generation Z was more profitable to most associations than twenty to thirty-year-olds. Today, the most seasoned Gen Zers are 22 years of age. They are quite recently starting to enter the work constrain, and will have expanded purchasing power for quite a while. Brands will start to perceive this and will move their online networking systems as needs are. Expect awesome speculation in platforms cherished by Gen Zers like Snapchat and Instagram. Over 2.5 billion people utilize informing stages all-inclusive, but marks are still basically centered around interfacing with shoppers on unadulterated interpersonal organizations. In 2018, anticipate that brands will put additional time and cash in interfacing with shoppers on informing stages. Counterfeit consciousness, voice associates, and chatbots will empower brands to offer customized shopping encounters on informing stages like Messenger, WhatsApp and Kik. What was at one time a novel contrivance has turned into a standard piece of online networking. Today, marks of all shapes and sizes have begun utilizing live gushing to catch the consideration of adherents. GORUCK, a rucksack producer and the coordinator of outrageous perseverance occasions, is one case of a medium-sized brand that has developed its span by live streaming compelling content on Facebook. A large number of supporters tuned in to watch 48-hour scope of a recent perseverance race. In 2018, more brands will start to understand the energy of live gushing and will consolidate it into their month to month content designs. Twitter has neglected to grow followers significantly in 2017. Indeed, LinkedIn, Facebook and Instagram all have more online networking supporters. This year, Twitter additionally lost access to spilling NFL amusements (Amazon won the rights). In 2018, it is likely that Twitter initiative will expect to reevaluate how the stage works. Conceivable changes to Twitter incorporate pitching the organization to private financial specialists, changing the stage to incorporate some membership component and additionally patching up Twitter publicizing alternatives, which have fallen behind different stages. Houseparty is a video home base stage utilized by over one million people each day. It is utilized by Gen Zers as an approach to hang out with companions carefully. The stage is successful to the point that Facebook is purportedly exploring approaches to make a comparative usefulness inside their stage. We have just observed video turn out to be progressively critical via web-based networking media, and live video amass joints are a characteristic next cycle of this pattern. It is possible that in 2018, Facebook will announce a comparable product to Houseparty that will prevail upon clients, similarly as Instagram’s presentation of Stories did. Facebook isn’t quite recently keen on live video gushing; they’ve been dealing with a project called Spaces that is intended to enable companions to interface in VR. Given that Facebook possesses Oculus, a virtual reality equipment, and programming organization, it is nothing unexpected that the online networking goliath is building up a stage to make utilization of this innovation. Facebook is ready to scale Spaces in 2018. When they do, it is likely that it will be the primary fruitful VR web-based social networking item at scale. After a progression of questionable choices amid the 2016 presidential race, online networking stages have grasped a more involved way to deal with representing conduct on their stages. Facebook as of late turned over thousands of ads that appear to be associated with Russian interfering, and has put resources into new AI and human types of checking. Given the wide feedback that Facebook and Twitter got amid 2017, it is likely that these stages will grasp sets of principles and administration strategies that shield the brands from future feedback. Development hacking has changed the amusement for the present advertisers. In any case, many people are confounded as to what development hacking really may be. Certainly, it’s not the same as conventional showcasing, but how, and why? And what does everything mean? Extraordinary compared to other approaches to comprehend development hacking is to do growth hacking. Not exclusively will you start to see how it functions, yet you’ll additionally encounter its development potential. “Hold up, give me some genuine procedures,” you’re considering. I’m not kidding about this. A blog is a fundamental instrument in the development programmer’s tool stash. In any case, don’t give “a chance to blog” mislead you. What I’m going for is an undeniable substance promoting exertion. It’s valid. Whatever strategy you pick – blogging, Instagram, Slideshare, infographics – – content issues. The better you progress toward becoming at making content, advancing substance and maintaining a yield of substance, the better you’ll be at development hacking. The present clients – correct, even your clients – want content. They read substance, and they change over given substance. As advertisers should know at this point, customary “linkbuilding” is history. Gone are the days when you could stir up a couple of linkbacks in the wake of sending a few messages and pulling a couple of strings. How would you develop your image today and get those desired linkbacks? It’s called visitor posting. Indeed, even though it infuriates the forces that be, regardless it works. For whatever length of time that you’re making amazing substance on top-notch locales, you’ll get the great development that you merit. Individual marketing improves development hacking. The present best development programmers are notable individuals like Elon Musk, Richard Branson, Tim Ferriss and Jeff Bezos. These business visionaries didn’t approach development like a run of the mill CMO. They hacked their way in, making monstrous interruptions as they did as such. On the off chance that you can turn into a little time big name in your own particular right, at that point you’re as of now situated to begin killing it with development hacking. One doesn’t just “turn into a little time VIP” without a great deal of diligent work and hustle. It is difficult to end up plainly surely understood, however, nor is it unimaginable in the period of advanced showcasing. With a PC and an association, you have the essential building squares of an individual brand. As you fabricate your own image, you can construct different brands, as well. That is the thing that we call development hacking. How would you do it? Invest energy purposefully curating your own social profiles and specifically captivating on the web. It requires investment, however, you’ll arrive in the long run. The wrath over online networking is misrepresented. Email is the number one lead age strategy, with three times as many active clients than all the web-based social networking clients joined. It’s 40 times more effective than Facebook and Twitter. Email promoting has three times the buying potential of web-based social networking and pulls in normal requests that are 17 percent higher. Despite the fact that it’s one of the most seasoned computerized promoting channels, it’s as yet the best. And it’s as yet developing. Development programmers may talk delicately, yet they carry a major email list. On the off chance that you will probably hack some development, at that point, you have to develop your email list. There’s a speedy approach. Essentially make an email pick in shape on your site. Or, on the other hand, you can utilize a popup for greatest email collecting. Development hacking has turned into this huge, enlarged and misjudged field. Contract a development programmer. Before you run Craigslist-content with a vocation promotion, do a rude awakening. Development programmers don’t develop on trees. Development programmers have progressed toward becoming as normal as the self-announced “web-based social networking masters” littering the Twitter scene. Individuals get a kick out of the chance to utilize “development programmer” in their LinkedIn title since it sounds in vogue and they went to an online class on it. Be cautious while choosing, verifying, and enlisting a development hacker. Do your homework on development hacking so you can procure a decent one. Because development hacking has “hack” in it, doesn’t imply that it’s messy or random. Development hacking is fanatically engaged on data. Information drives the path in the development hacking condition. It’s pivotal that you comprehend key execution markers (KPIs), viral coefficients, multivariate testing, CACs, LTVs, and other jargony measurements. More investigation organizations are streamlining and introducing information in ways that nourish the development hacking motor. As Kissmetrics remarks, “total information is kinda useless.” When you begin to truly comprehend your information, you’ll be better prepared to dispatch development hacking. Information doesn’t mean numbers. Information is information. You require content execution data (Buzzumo), and client securing information (Colibri.io), client data (Kissmetrics), and other noteworthy data. Google Analytics alone simply doesn’t cut it any longer. Try not to depend on something like Google Analytics for every one of your information needs. Burrow somewhat more profound by utilizing an examination stage that deciphers your information in significant ways. Development hacking isn’t any less demanding than conventional development techniques. In any case, it is more compelling. In the present economy, development hacking is the main way a startup can ascend to the best. Growth hacking is a procedure of quick experimentation crosswise over promoting channels and item improvement to distinguish the most effective approaches to grow a business. Development Hacking is a greater amount of Mindset than Toolset. Growth hacking refers to an arrangement of both customary and unusual advertising tests that prompt development of a business. Development programmers are advertisers, architects and item directors that mainly concentrate on building and connecting with the client base of a business. Growth programmers regularly focus on ease other options to conventional promoting, e.g. using social media, viral marketing or concentrate on advertising instead of purchasing publicizing through more traditional media such as radio, newspaper, and television. The individuals who spend significant time in growth hacking use different sorts of advertising and item emphasess—quickly testing enticing duplicate, email showcasing, SEO and viral methodologies, among others, with a reason to build the transformation rate and accomplish the fast development of the client base. It can likewise include on-line group administration and web-based social networking effort or profoundly customized effort to news outlets to improve performance metrics such as driving client procurement and offering products. Some consider growth hacking a piece of the web-based showcasing environment, as much of the time development programmers are utilizing methods, for example, site improvement, site analytics, content marketing and A/B testing. Item improvement is likewise vigorously affected by the development programmer mentality. Rather than long advancement cycles took after by client testing. Development programmers begin client testing with wireframes and draws; approving thoughts at each stage. A development programmer in an item improvement part would begin client testing in a coffeehouse rather than a corporate usability lab. To battle this absence of cash and experience, development programmers approach advertising with an emphasis on advancement, adaptability, and client connectivity. Growth hacking does not, notwithstanding, isolate item plan and item viability from marketing. Growth programmers manufacture the item’s potential development, including client securing, on-boarding, adaptation, maintenance, and virality, into the item itself. Fast Company used Twitter “Recommended Users List” as case: “This was Twitter’s genuine mystery: It incorporated showcasing with the item instead of building a foundation to do a great deal of marketing.” However development hacking isn’t generally free. TechCrunch shared a few almost free development hacks explaining that development hacking is successful promoting and not legendary promoting pixie clean. As new tools(SaaS) turn out particularly that attention on further developed types of Growth Hacking, an ever-increasing number of instruments are being offered as free. The core of development hacking is the constant concentrate on development as the main metric that genuinely matters. Mark Zuckerberg had this mentality while developing Facebook. While the correct techniques fluctuate from organization to organization and starting with one industry then onto the next, the shared factor is dependably development. Organizations that have effectively “development hacked” for the most part have a viral circle normally incorporated with their onboarding process. New clients commonly catch wind of the item or administration through their system and by utilizing the item or administration, share it with their associations thus. This circle of mindfulness, utilize, and sharing can bring about exponential development for the organization. Twitter, Facebook, Dropbox, Pinterest, YouTube, Groupon, Udemy, Instagram and Google are on the whole organizations that utilized and still utilize development hacking strategies to assemble marks and enhance benefits.